Dave passed away peacefully at The Carpenter Hospice, on October 7, 2018, at the age of 48 after a brief sudden illness. Beloved husband and soulmate of Sandra (nee McCleary). Loving and doting father to Andrew (9) and Thomas (7). Cherished son of Ross and Joyce Judd, brother to Mary Ellen Judd, son-in-law to Dave and Pam McCleary, brother-in-law to Dayna and Justin Folkerts and uncle to Erik and Ashley Botelho and Gillian, Alex and Nathan Folkerts. Dave will be fondly remembered by his Hosking and Mallory cousins. Dave’s calling in life was coaching. 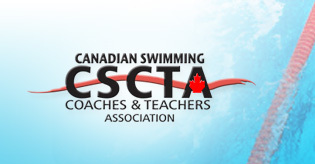 Dave inspired well over 500 young athletes as well as over 500 masters athletes as a swim coach starting out at McMaster University then at both the Oakville Aquatic Club (2000-2018) and Burlington Masters Swim Club (1996-2012). Dave was passionate about his swimmers. He instilled in them his goal-focused work ethic, drive and determination while guiding them to achieve their dreams and successes. He selflessly inspired others to be their best and enriched everyone he encountered with his authentic approach and endearing sense of humour. This passion was also evident in how approached everything else in life. Dave loved the outdoors and enjoyed the natural beauty of his surroundings. He loved discovering, teaching and investigating and sharing his love of sports and nature with his sons. He will be deeply missed by all. Visitation at SMITH'S FUNERAL HOME, 1167 Guelph Line (one stop light north of QEW), BURLINGTON (905-632-3333), on Monday, October 15, 2018 from 3 - 5 and 7 – 9 p.m. A Funeral Service will be held in the Chapel on Tuesday, October 16, 2018 at 10:30a.m. Reception to follow. For those who wish, donations in memory of Dave to The Carpenter Hospice, Oakville Aquatic Club Angel Fund (to support swimmers in financial need) or to the cancer support foundation of your choosing, would be sincerely appreciated by the family.